I know what it takes to fail or to be successful in business! I’ve either owned, started or been a partner in Five Business Ventures over Thirty Nine Years. 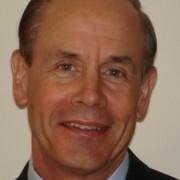 Tom Bush created Successful Business Strategies, LLC in 2008. SBS provides a wide range of personal consulting services to Owners and Executives of Mailing, Printing and Fulfillment business – nationwide. Tom also consults with Data Services firms and Marketing Agencies. Tom joined the Mailing and Printing Industry in 1990 with the acquisition of Accurate Business Service, Madison WI. Over 17 years, Tom grew the company from a small firm to the largest Mailing, Print, Data, and Fulfillment firm in the Madison WI metro area. Annual sales grew from $750,000 to over $5.2 Million by 2006. ABS became “Accurate Response.” AR served over 400 clients with a staff of 58. Annual mailing volumes grew from a few million pieces to over 50 million direct mail letters, flats and packages. The company was sold in 2007 to Wisconsin printing company, with revenues near $40 Million. Assess financial health, stability, cash flow, profitability and growth potential. Full review of Sales & Marketing plan, personnel, objectives, goals, client base & strategy. Assess production workflow, standards, processes, understanding challenges & building solutions. Assess workforce challenges and build cohesive change through implementation of Harrison behavior assessment technology to identify, recruit, hire, train & retain top talent. Provide full analysis of “business transformation process,” identifying strengths, weaknesses and determining a strategy & plan, based on metrics, client’s customer base & market opportunities. Work in the trenches with Principals, Managers and key personnel to solve specific challenges related to direct marketing business – focus on client relationship building, building or upgrading employee teams, internal procedures, plant utilization, inventory controls, logistics and providing workshop training for Annual Strategic Planning. Certified Consultant & reseller of Harrison Assessments Behavioral and Suitability assessments for identifying top talent within organizations or candidates for employment. Let me know if you have an interesting project and want to work together!